Barbour Publishing has announced that its fiction titles currently hold half of the spots available on the October Christian fiction best-seller list from the Evangelical Christian Publishers Association (ECPA). “Barbour is thrilled with these achievements and appreciates the hard work of all its authors,” a company statement said. Ten of the 20 spots on ECPA’s fiction list are Barbour titles. 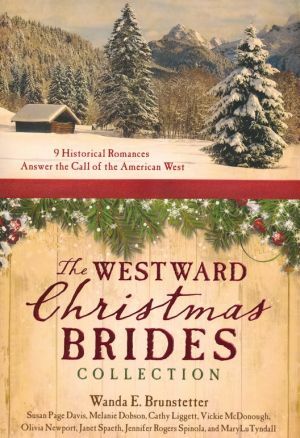 The Westward Christmas Brides Collection (No. 4), a collection of nine historical holiday romance stories by popular Christian fiction authors, including Wanda E. Brunstetter, and The Healing Quilt (No. 5), the third title in Brunstetter’s “Half-Stitched Amish Quilting Club” series, hold high rankings on the October list. Other Barbour titles on the list are: The Daughters of Harwood House Trilogy by Sally Laity and Dianna Crawford (No. 7); The Christmas Brides Collection by Kelly Eileen Hake, et al. ; An Old-Fashioned Christmas Romance Collection by Peggy Darty, et al. (No. 8); Sarah’s Choice by Brunstetter (No. 11); A Grand Teton Sleigh Ride by Elizabeth Goddard and Lynette Sowell (No. 12); Christmas Comes to Bethlehem, Maine by Lorraine Beatty, et al. (No. 15); Betsy’s Return by Brunstetter (No. 16); and The Prairie Dreams Trilogy by Susan Page Davis (No. 19).